The Progressive Christianity Network approached Westhill for a grant to cover the cost of the forthcoming UK speaking engagements of the well-known Canadian post-theist, Revd Gretta Vosper. 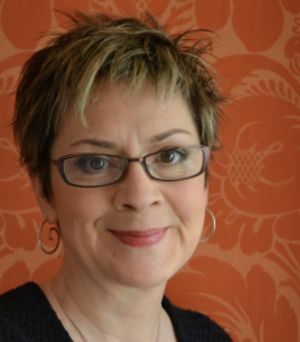 Currently a Minister of the United Church of Canada and based in Toronto, Gretta Vosper is the author of ‘With or Without God’ and ‘Amen’. Vosper says she does not believe in God as a supernatural, interventionist, divine being and her work bridges progressive Christianity and atheism in a unique (and for some people controversial) exploration beyond the boundaries of Christian thought. Gretta Vosper has accepted an invitation to come to the UK to speak at local meetings of the PCN in Leeds on 7th and 8th October and to deliver lectures as part of the Radical Christian Faith lecture programme, organised at Carrs Lane church, Birmingham on 13th and 14th October. The inclusive, thoughtful and outward-looking positioning of PCN, the Radical Christian Faith lectures and Gretta Vosper are consistent with Westhill’s values and remit to encourage serious Christian reflection and dialogue. This is not to say, however, that Westhill endorses everything that Gretta Vosper says but rather that Westhill is keen to encourage thought on and discussion about the issues that she raises.